How do I average multiple readings in EZMQC? How do I setup the EasyMatch QC software to average multiple readings? 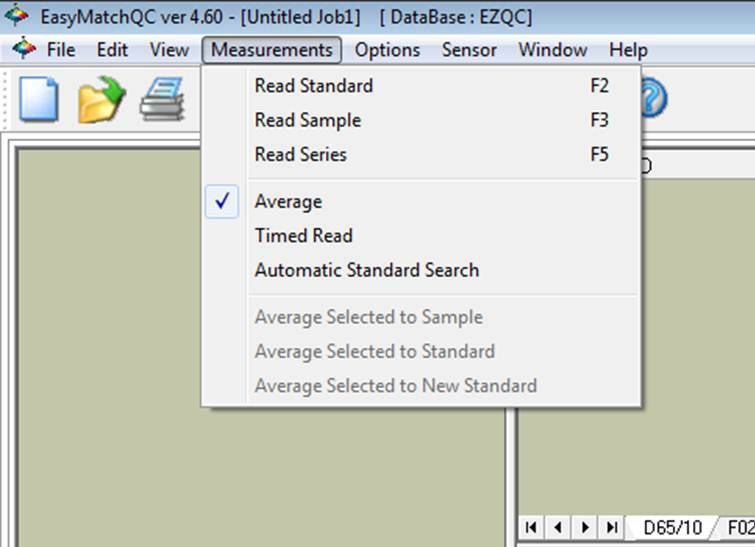 The EasyMatch QC software has an option to average multiple readings and report the average as a single measurement. To use this feature it first must be configured. To do this, go to Options/Average Method. This will open the Average Method window, as shown below. 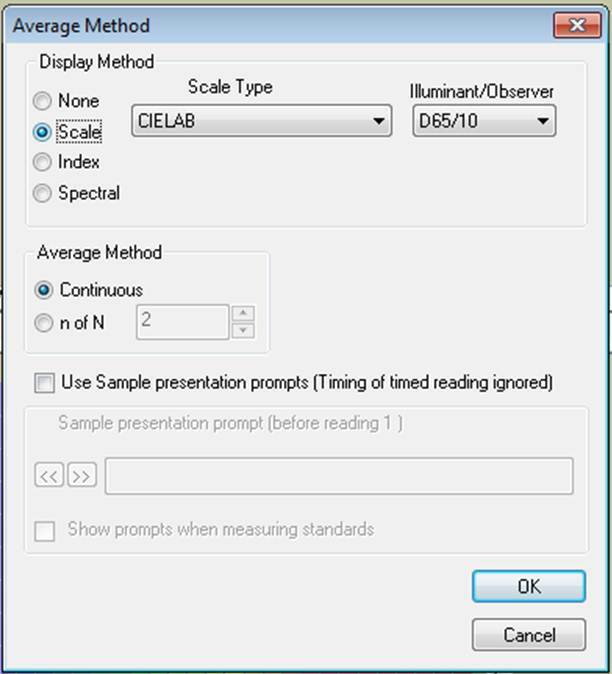 The first option in this window is the Display method; this sets the display for the individual measurement readings. If none is selected nothing will display when the individual readings are being taken. The next option is the Average Method. If you wish to take a total of 3 readings you would select n of N and set the number to the right of it to 3. You also have the option to setup sample prompts before each sample reading if you wish. Once you have made all your selections click OK to save these changes. Once you have configured the average method you will need to turn averaging on. To turn averaging on go to Measurements/Average. This will turn averaging on, if you go back to the Measurement menu you should see a check mark next to Average indicating that the EasyMatch QC software is setup to average multiple readings. The averaging module can be saved to a Job or Job Template.